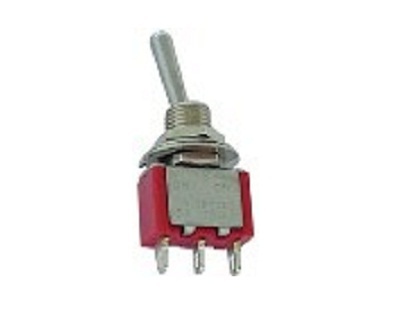 A High quality miniature centre off toggle switch with single pole change over contacts. Biased (Sprung loaded) to return to off in both ways. Supplied with two fixing nuts and locking washer, chrome toggle.